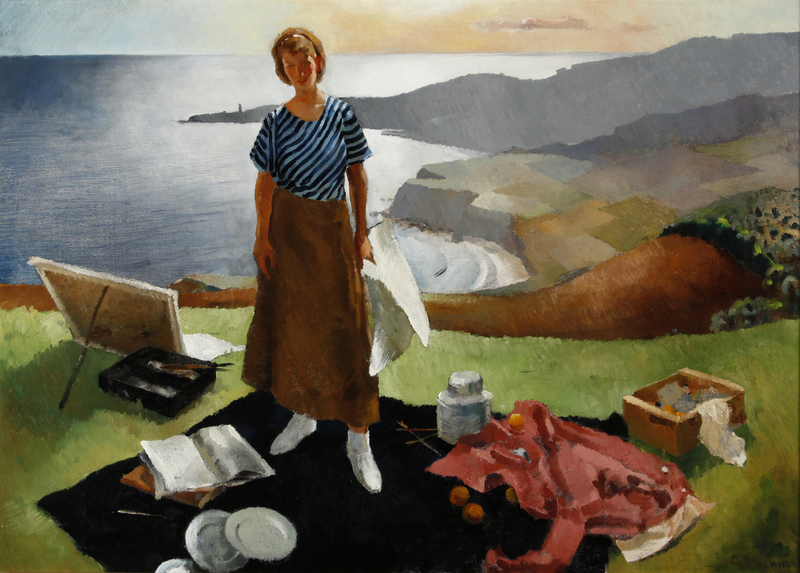 Lee Blair, “Mary Blair, Overlooking Palos Verdes,” 1934. Oil, 34 x 48 in. Emil Kosa Jr., “Near Modesto,” 1940. Oil, 22 x 28 in. Ben Norris, “Discouraged Workers,” 1936. Oil, 24 x 30 in. Rex Brandt, "On a Golden Day," c. 1960. Water color on paper 17.5 x 12 in. 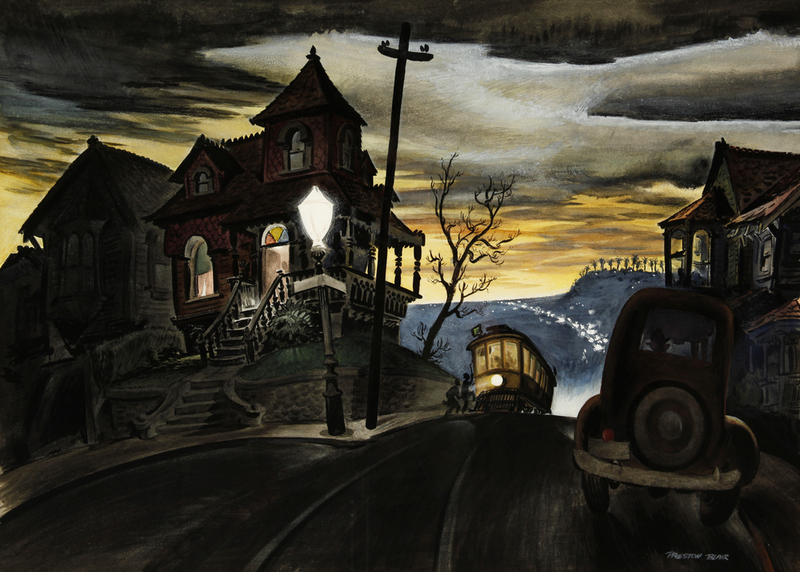 William Jekel, “San Pedro Street, Night,” 1944. Watercolor, 15 x 22 in. Preston Blair, “Bunker Hill,” 1938. Watercolor, 22 x 29 in. Millard Sheets, “San Dimas Train Station,” 1933. Watercolor, 15 x 22 in. Emil Kosa Jr., “The Big Top,” 1951. Oil, 24 x 28 in. Emil Kosa Jr., “San Francisco,” 1942. Oil, 30 x 40 in. 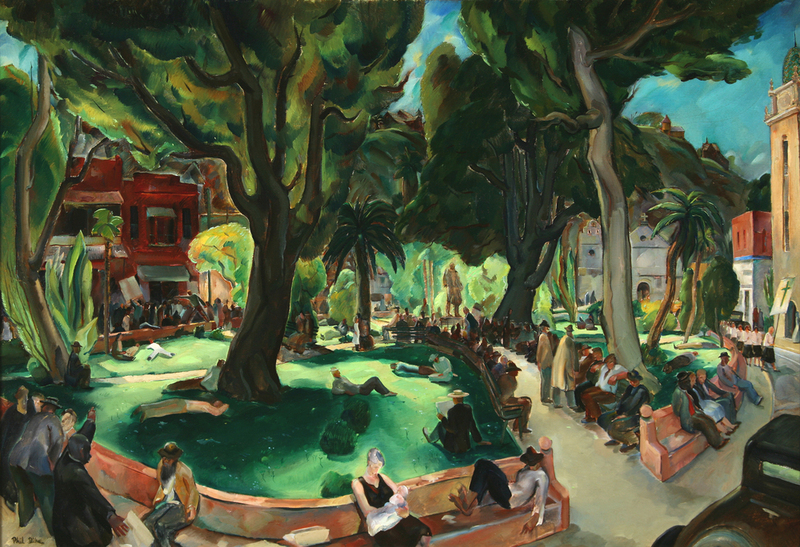 Phil Dike, “Sunday Afternoon in the Plaza de los Angeles,” c. 1939-42. Oil, 29.5 x 39.5 in. 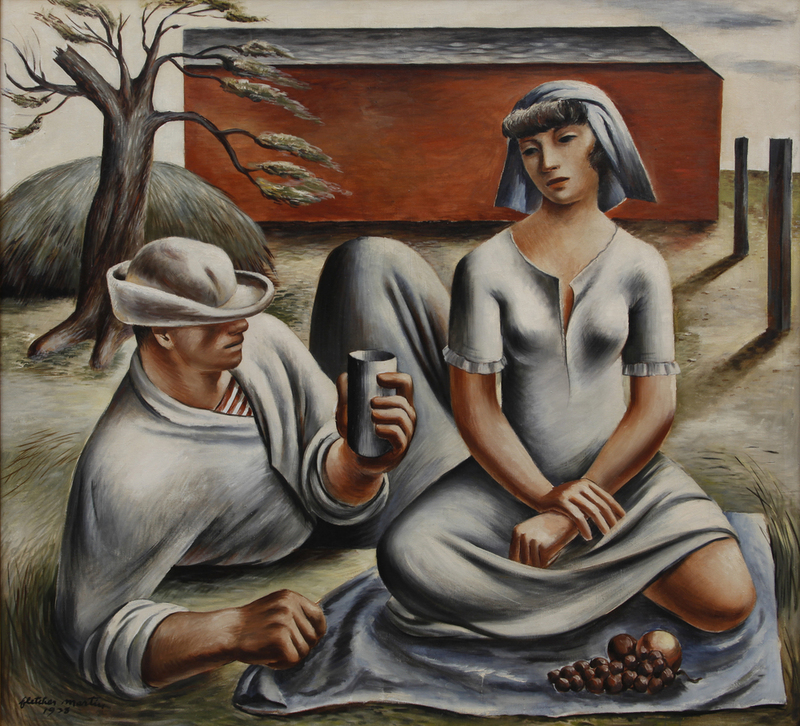 Fletcher Martin, “Bucolic,” 1938. Oil, 48 x 52 in. Fletcher Martin, “Lad from the Fleet,” 1938. Oil, 45 x 26 in. Rex Brandt, “Casa de Pedroena” 1968, watercolor, 11 1/2 x 19 1/2 in. 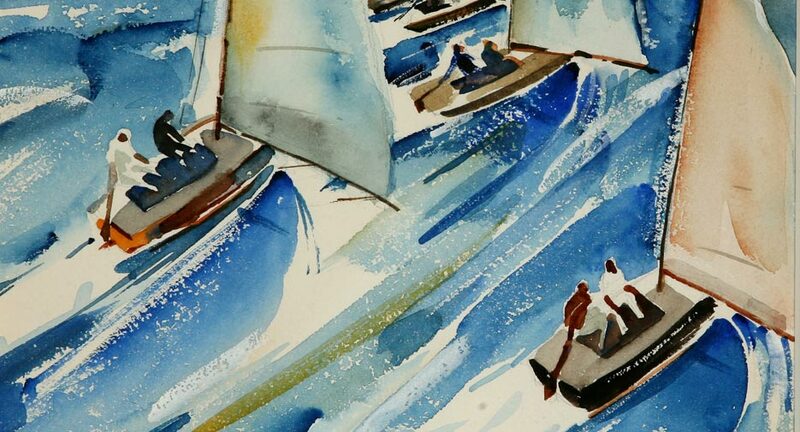 Phil Dike, “Regatta” 1934, watercolor, 10 1/2 x 9 1/2 in. Emil Kosa Jr., “Romantic Bridges” 1948, watercolor, 20 1/2 x 28 1/2 in.